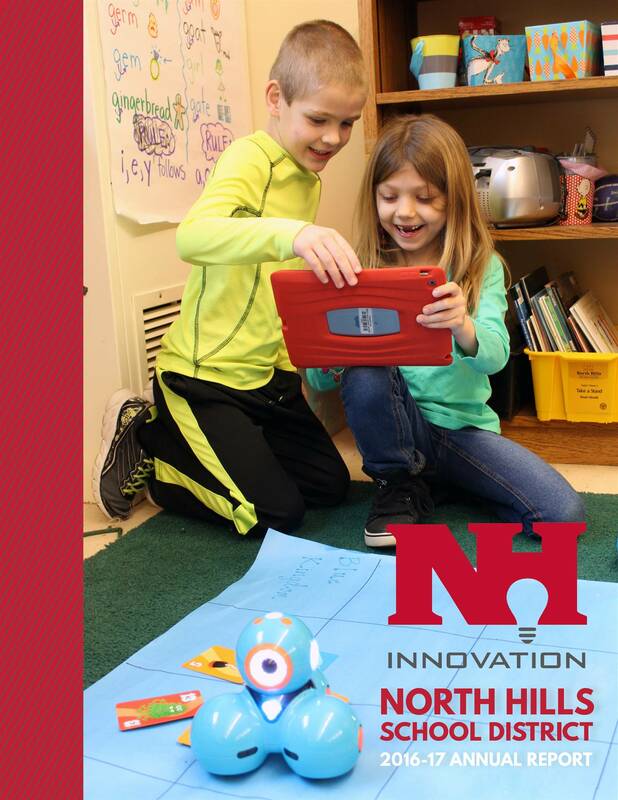 The 2017-18 Annual Report shows the many of sides of North Hills School District. It details how the district inspires our community to live sustainably, make a difference by giving back to those in need and embrace the future with innovative courses and projects. The report also includes the district’s academic achievement data, financial information and academic, athletic and artistic achievements of our students and staff. The 2016-17 Annual Report details the district's innovative spirit focusing on Project Connect, digital learning in our elementary schools and college and career prep at our high school as well as the district’s academic achievement data, financial information and academic, athletic and artistic achievements of our students and staff.